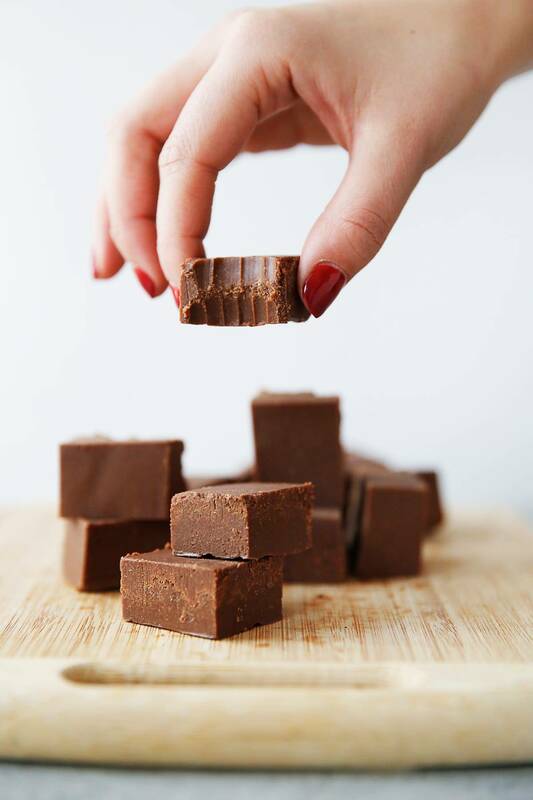 This Paleo Fudge is a lightened-up chocolate-y treat that is good any time of day and takes less than 10 minutes to whip up! It’s made nut-free with healthy fats and antioxidant rich cocoa powder and is barely sweetened with only a touch of maple syrup. It’s vegan, gluten-free, dairy-free and most important out-of-this-world-good! This will be your NEW favorite fudge recipe, promise. February calls for chocolate, and this Paleo Fudge doesn’t disappoint! We have a few festive treats planned for you, and we kicked it off with the Strawberry and Chocolate Ganache Sandwich Cookies from yesterday. Like that recipe, this one is also nut-free, which means it’s inclusive for those with nut allergies and you are able to send it to school with your kids. This Paleo Fudge is a treat you can feel good about eating, made with real food but most importantly insanely delicious. But this isn’t your average fudge recipe. First off, we call for cocoa powder. We love that it is rich in antioxidants and doesn’t have any added sugar or dairy, but more importantly it’s SO FUDGEY. Second, this one is nut-free. 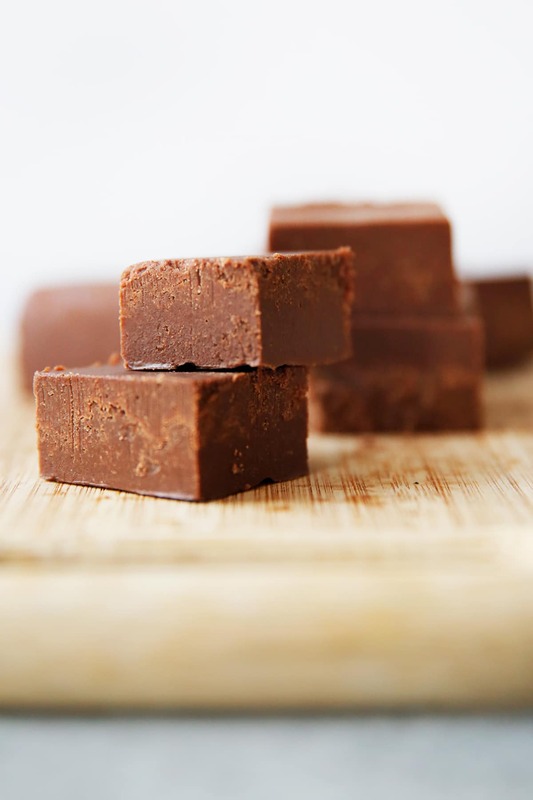 A lot of alternative fudge recipes call for almond butter, including this previous fudge on LCK, but this one uses sunflower butter (or alternatively tahini). Third, we add a bit of coconut flour to help firm up the fudge and give it the perfect texture. We discovered, and fell in love with that trick while testing for our PB & J Fat Bombs. And finally we love the added healthy fats thanks to the coconut oil. 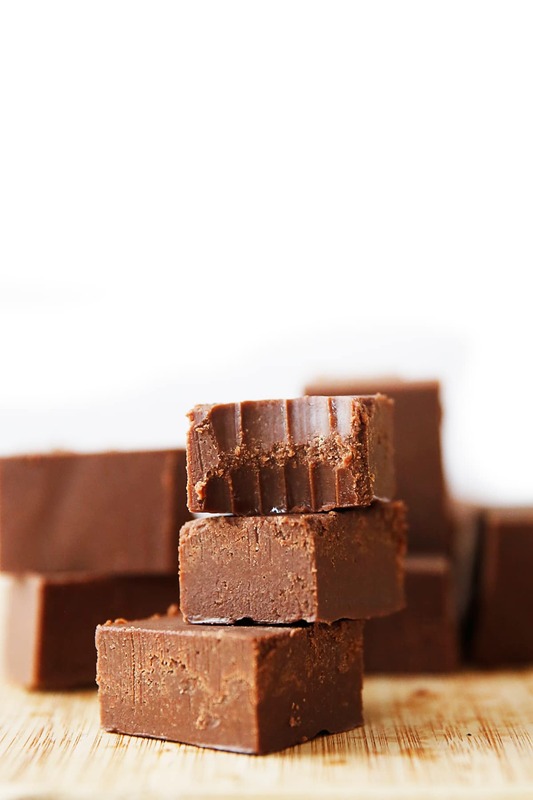 Having a piece of this fudge as a snack will definitely give you some energy that will last for a while! While this fudge cannot stay for hours at room temperature, it will last for quite a while outside of the refrigerator and they don’t need to be stored in the freezer, and we like that! In a medium pot, melt together coconut oil, maple syrup, salt and cocoa powder. Stir until it has all melted and combined. Add sunflower butter, coconut flour and vanilla extract and whisk together. Line a 7.5” by 5” container, or a similar size, with a parchment paper sling (for easy removal) and pour the chocolate mixture inside. Smooth the top and refrigerate until set at least 2 hours, but preferable 6 hours. Using the sling, remove the fudge mixture and slice to 12-16 pieces. Store in the refrigerator and enjoy within 10 days. This recipe also works, and was tested with tahini (sesame seed paste). It has a slightly different taste to it, but still delicious so feel free to swap that in for equal portions if desired.